Many have derided Microsoft’s decision to offer the subscription-based Office 365 An Introduction to Office 365: Should You Buy Into the New Office Business Model? An Introduction to Office 365: Should You Buy Into the New Office Business Model? Office 365 is a subscription based package that offers access to the latest desktop Office suite, Office Online, cloud storage, and premium mobile apps. Does Office 365 provide enough value to be worth the money? Read More next to Microsoft Office 2016, but I think it’s great. Contrary to what most think, Office 365 is not a greed-driven move to wring more cash out of gullible users. The two serve different audiences, and they both provide value. But which one is the better value? 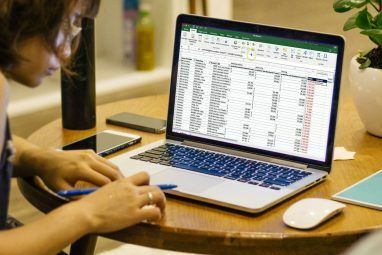 In this post, we’ll compare Microsoft Office 365 to Office 2016 and help you decide which one is actually more cost-effective for your needs. For the comparisons, we’ll be using the cheaper year-to-year plans instead of the month-to-month plans because there aren’t many situations where you’d only need Microsoft Office for a month. 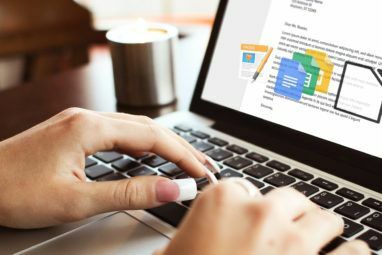 The two varieties of Microsoft Office are fundamentally different in terms of what you’re buying, who can use the apps, and how long you get to keep access. Office 365 is a per-user subscription 5 Office 365 Myths Dispelled 5 Office 365 Myths Dispelled What's stopping you from buying Office 365? If it's not the price alone, maybe it's one of five common misconceptions. Read More . Not only can you install the Microsoft Office apps like you would normally, you can install them on as many devices as you want: Windows, Mac, Android, iOS, etc. All installed apps are tied to your account. 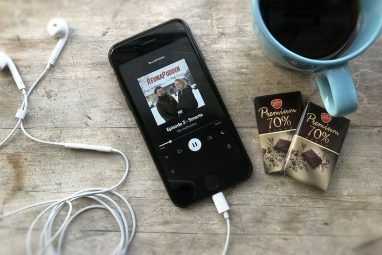 All apps receive updates while your subscription remains active How to Manage Your Office 365 Subscription How to Manage Your Office 365 Subscription Getting to grips with Office 365? Make sure you're in complete control of your account and subscription settings with this guide. Read More . Office 2016 is a per-PC one-time purchase. You purchase a single suite of apps that can only be installed on one machine, but anyone who has access to that machine can use the Microsoft Office apps. The installations are not tied to an account. Future versions of Microsoft Office will still need to be bought as they are released. In essence, Outlook 2016 costs $80. To equalize Microsoft Office 2016 with Office 365, you’d need to purchase Publisher 2016 ($110) and Access 2016 ($110) separately in the Microsoft Store, as well as a OneDrive plan and Skype credits. Note that OneDrive only offers a 50 GB storage-only plan, so that’s what we’ll use.The previously-available 100 GB and 200 GB plans are gone. The 1 TB plan is only available with Office 365. Note that mainstream support for Office 2016 ends in October 2020 (i.e. stops receiving feature and performance updates) and extended support for Microsoft Office 2016 ends in October 2025 (i.e. stops receiving security and reliability patches). Keep this in mind as you’ll probably want to upgrade to the next version of Microsoft Office around then. Office 365 Personal costs $70 for one user. Office 365 Home costs $100 for five users. Microsoft Office 2016 Home & Student costs $150 for one PC. OneDrive 50 GB costs $24 for one year. Skype costs about $17 for 12 hours. Total cost is $191 for Word, Excel, PowerPoint, and OneNote (or $411 with Publisher and Access). Microsoft Office 2016 Home & Business costs $230 for one PC. Same annual costs for OneDrive and Skype. Total cost is $271 for Word, Excel, PowerPoint, OneNote, and Outlook (or $491 with Publisher and Access). Office 365 Personal costs $350 for one user. Office 365 Home costs $500 for five users. 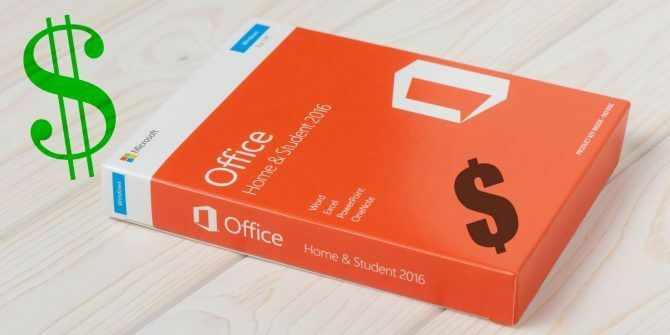 Microsoft Office 2016 Home & Student costs $150 for one PC. OneDrive 50 GB costs $120 for five years. Skype costs about $85 for 60 hours. Total cost is $355 for Word, Excel, PowerPoint, and OneNote (or $575 with Publisher and Access). Microsoft Office 2016 Home & Business costs $230 for one PC. Same annual costs for OneDrive and Skype. Total cost is $435 for Word, Excel, PowerPoint, OneNote, and Outlook (or $655 with Publisher and Access). Office 365 Personal costs $700 for one user. Office 365 Home costs $1,000 for five users. Microsoft Office 2016 Home & Student costs $150 for one PC. OneDrive 50 GB costs $240 for 10 years. Skype costs about $170 for 120 hours. Total cost is $560 for Word, Excel, PowerPoint, and OneNote (or $780 with Publisher and Access). Want to upgrade after five years? Add another $150. Microsoft Office 2016 Home & Business costs $230 for one PC. Same annual costs for OneDrive and Skype. Total cost is $640 for Word, Excel, PowerPoint, OneNote, and Outlook (or $860 with Publisher and Access). Want to upgrade after five years? Add another $230. Office 365 is best value for one year. Microsoft Office 2016 Home & Student is best value for five or 10 years. Microsoft Office 2016 Home & Business is best value for five or 10 years. Both are about the same for five years. Microsoft Office 2016 is best value for 10 years. Without Outlook, both are about the same for five years. With Outlook, Office 365 is best value for five years. Microsoft Office 2016 is best value for 10 years. Unless you upgrade at the five year mark, in which case Microsoft Office 2016 is only better value without Outlook. Did this article help you decide between Office 365 and Office 2016 Don't Buy Office 2016! Here's Why You Don't Need It Don't Buy Office 2016! Here's Why You Don't Need It Should you buy the standalone package version of Office 2016? We present our case why we think you shouldn't and show you what you can do instead. Read More ? Which one are you going to use? Are there any other factors we missed? Share with us in the comments below! Explore more about: Microsoft Office 2016, Microsoft Office 365, Microsoft Office Tips, Price Comparison, Subscriptions. This article is useful for me as I choose the Office 365 for Education ecosystem over that of Google's. I'd like to point out that not everyone has continuous access to the internet, so that leaves Office 365 out. I'd recommend buying an Office Suite like Office 2016 if that person wants full compatibility with the Office Online apps which are deployed when he or she works on files shared on OneDrive or Sharepoint. Thanks for making the comparison. One thing you might want to add is: which is the best value if you're going to be using the product for two years? Or three years? Or four years? Or six years? etc.